One, or two, or even a whole pack of scampering, tail-wagging friends; dogs are absolutely delightful to have around, but along with the fun comes the odor that dog owners are all too familiar with. And it tends to linger around. The moldy-wool like stench is a natural part of the doggy-package, even if you regularly take good care of maintaining your pet’s hygiene. The odor settles around any clothed surfaces around the house; furniture fabrics, curtains, and more intensely – in carpets. Moreover, these smells strengthen each time your pet trails inside from a trip outdoors in mud and water. If you’re a dog owner trying to tackle this odor-ly issue, then you’re in luck. We’ve got the expert tips and tricks to straighten it out. 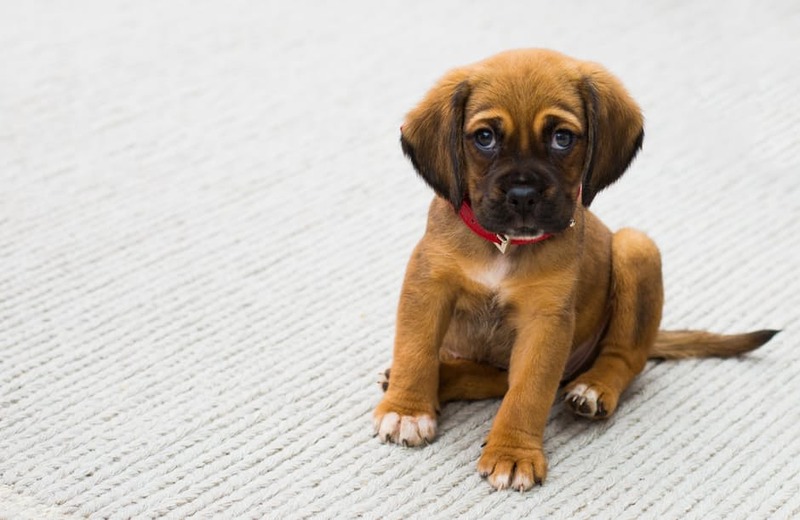 Carpets and rugs in particular are your pooch’s favorite space to roll around on. While most pieces of furniture get a wafting touch of it, the insulated fibers of a carpet absorb the odors that come in close contact and tend to hold these within the thick strands. Start by tackling other pieces of furniture that the odor resides in. Getting the carpets sorted out will be of no use if the stench is still in covers or curtains. Gather supplies to deodorize the fabrics. Avoid cleaners with strong smells as these may agitate, or unfortunately just draw them back the very spot you’re trying to clean. If there’s a particular pet/dog odor neutralizing solution you have in your supplies, follow instructions given on the label to clean the carpets without harming the fabric. If you don’t have a specific cleaning product, then turn to nature’s magical agent – baking soda! It is safe to first close-off the area from your pet. Dust on generous amount of baking soda over the smelly or soiled surface. You may need more than just one packet or box. Let the baking soda sit for 12 hours to overnight – that way it absorbs most of the odor. Vacuum the carpets afterwards. As if often happens, most deep-seated smells cannot be completely eradicated using baking soda or even common pet odor removers. In that case, rent a professional carpet cleaning service to complete the task. Avoid steam-based cleaners; high temperatures can have the opposing effect and set odors and stains in indefinitely. Call in the experts at Excellence Janitorial Services; we make use of effective, eco-friendly cleaning products to remove even the toughest of odors and stains from your carpets. Check out our pet stain and odor removal services, or get in touch for further information today.